The Celebrity Baby Bump: It's a Boy For Kings of Leon's Matthew Followill! It's a Boy For Kings of Leon's Matthew Followill! 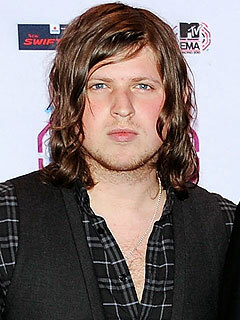 Guitarist Matthew Followill is a new dad! The Kings of Leon band member and his wife, Johanna Bennett, welcomed a baby boy, Knox Cameron Patrick Followill, on Friday, April 22. Little Knox was born in Nashville, Tenn., at 1:02 p.m. and weighed in at 6 lbs., 10 oz. “Mother, father and baby are happy and healthy and doing well!” the rep said in a statement.